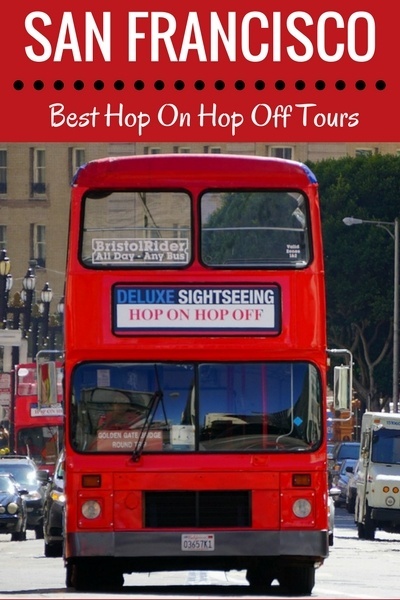 Hop On Hop Off Bus Tours in San Francisco are a great way to see the best of what the city has to offer. On this page, you will find information on the different ticket options with distinct routes and durations. This will allow you to compare all of these city tours and make an informed decision on which one is right for you. 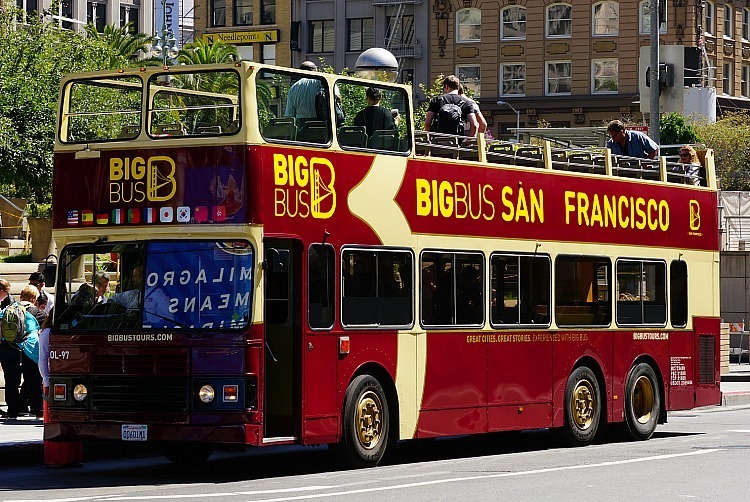 Hop-on hop-off bus tours in San Francisco are narrated bus tours around the city with set routes and several designated stops at the most popular tourist attractions and neighborhoods. They make it easy for you to hop off at whichever stops you'd like, explore those sites for as long as you'd like, and then hop back on the next bus in the circuit when you're ready to continue. This is a great option for people who want to enjoy their preferred attractions at their own pace, but appreciate the convenience of being transported from one to the next, while learning fun facts about the city. The buses typically run from 9am to 6pm along their route, and are spaced about half an hour apart. Keep in mind that the 24-hour ticket is valid for 24 hours after you activate it, so if you hop on first thing in the morning (9am) then you can only use it that day, but it you hop on at 3pm, then you can use it until 3pm the next day. Should you buy online in advance or just buy in the streets? Some companies offer discounted prices online, so I recommend doing your research and find the best deals online before you arrive. City Sightseeing offers two different routes on their 24-hour tour. Your ticket prices include access to both routes during that one day time period. 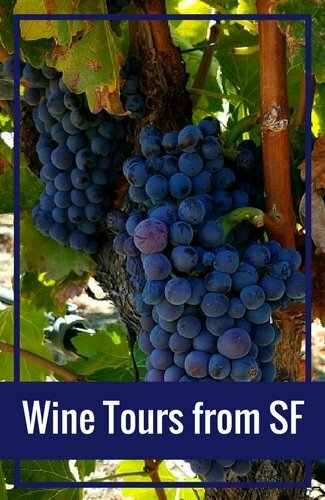 City Tour: This ticket includes stops at Fisherman's Wharf, Pier 39, the Golden Gate Bridge, Chinatown, Golden Gate Park, North Beach, Haight-Ashbury, City Hall, and more. This is a 2.5-hour loop around SF. Sausalito Tour: This tour takes you from the northern end of the Golden Gate Bridge to the small, waterfront town of Sausalito. Here are the full routes for both of these tours. Click on the map for additional details. You can switch from one route to the other anywhere both Hop On Hop Off Bus Tours in San Francisco stop. The Big Bus Tour Company offers two one-day options. The first is the Classic Ticket and the second is the Premium Ticket. Classic Ticket: The classic ticket includes 24-hour daytime access to the 20 stops. It also includes 4 walking tours: North Beach Walk, Chinatown Walk, Fisherman's Wharf Walk, and Barbary Coast Walk. Premium Ticket: This ticket includes the 20 day time stops and the 4 walks mentioned above, In addition, it also includes their Panoramic Open Top Night Time Tour and one extra hour of when you purchase a one hour bike tour. 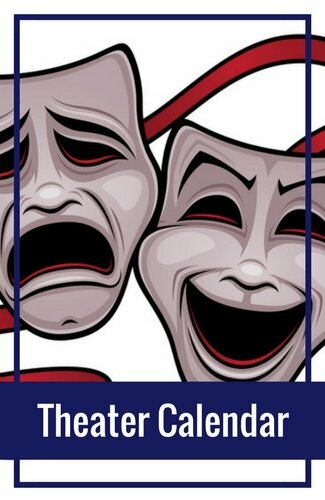 This ticket also includes four walking tours to give you a more intimate look at the Barbary Coast, Chinatown, and North Beach. The 1-Day tour does NOT include the Sausalito trolley. 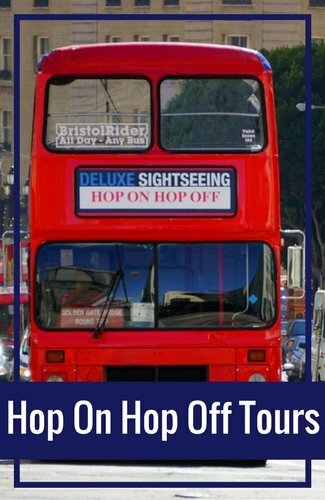 If you want a little more time to explore, consider one of the 48-hour hop-on hop-off bus tours in San Francisco, which allows you to divide your chosen stops among two full days and dedicate a little more time to each one. The tours listed below are each company's upgrade to their 24-hour option listed above. That means you'll have access to the same routes, but with more time and added features. This option is usually only $10 more. Most Popular: I'm asked a lot about which options are the most popular. The 48-hour bus tickets and those in this section are the most popular. They give you a good amount of time to explore SF, take your time at each stop, and include a handful off add-ons. This 48-hour City Sightseeing tour includes both routes offered as 24-hour tours including both the City and Sausalito tours with 32 total stops. In addition to another full day of access to these routes, you will can also enjoy their Park & Beach Tour as well as their Night Tour. 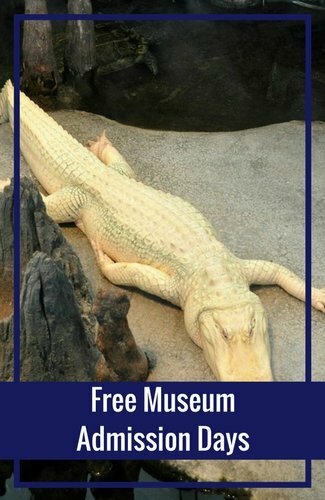 It also includes a two free walking tours. One is in Chinatown & Little Italy and the second is of the Haight-Asbury District. The other offer included with the 48-hour pass is a free one-hour bike tour with the purchase of an hour. This 48-hour ticket includes the same 20 city stops and four walking tours as the Big Bus Classic Day Tour. It also includes the night time tour, their Sausalito Trolley Tour and the extra hour of bike rental with the purchase of one hour. This tour includes everything in the 24-hour and 48-hour tours. There are three differences with this pass. 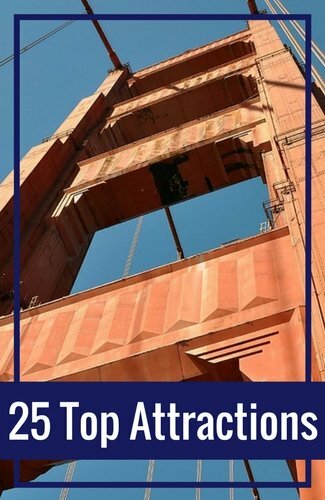 You have an additional 24-hours to explore SF, you will get a VIP card with discounts all around SF, and you get a free ticket to the 7D Experience. 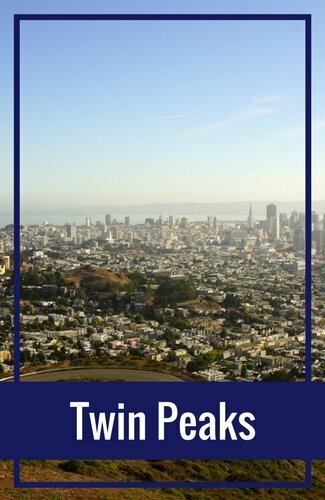 You will find that all of the Hop On Hop Off Bus Tours in San Francisco offer stops at some of our most popular attractions. You will find information below about what to expect at some of these stops. The Alamo Square/Painted Ladies are a famous set of historic Victorians that have drawn in crowds for years. The most famous are those that sit across from Alamo Square Park on Steiner Street. If you walk to the top of the hill in the park, you will get a gorgeous photo of the Painted Ladies with a view of downtown San Francisco as the back drop. 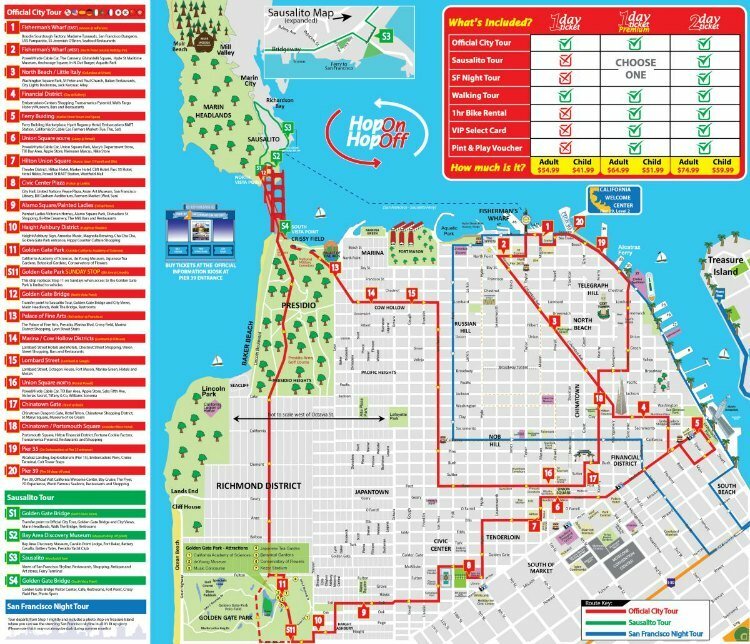 All of the Hop On Hop Off Bus Tours in San Francisco have a stop at or near Chinatown. This historic and colorful district is one of the most densely populated in all of SF. Here you can find some great discounts when you shop, visit some ancient temples, visit the Chinese Historical Society, or enjoy some Dim Sum. The Civic Center area is home to a few fun places to visit. It's also a popular stop on the Hop On Hop Off Bus Tours in San Francisco. Here you can visit the Asian Art Museum (one of my personal favorites), City Hall (free from 8am to 8pm weekdays), and several performing arts buildings. Fisherman's Wharf offers dozens of things to do. It's a popular place to spend the night and one of the places many people start their Hop On Hop Off Bus Tours in San Francisco. You will find museums, restaurants, shops, Pier 39 and the ferries to Alcatraz. Golden Gate Park is home to several top attractions including the California Academy of Sciences, the deYoung Museum, the Japanese Tea Garden, the Botanical Gardens, and the Conservatory of Flowers. The Haight-Asbury District is the hippie district that was home to much of the action in the 60s. In this colorful district, you can do some shopping at vintage store and costume shops, walk by addresses where many famous people used to call home, and see where much of the Summer of Love took place. North Beach was originally settled by Italian immigrants and their influence is noticeable in this district today. It was also home to the Beat Generation in the 50s and 60s. Today, you can do some shopping, eat mounds of pasta, visit Coit Tower, spend time in City Lights Bookstore, or explore the Beat Museum. The Palace of Fine Arts is another great place to stop. The original building was built for the 1915 Panama Pacific Expo. This free attraction offers you the chance to stroll on its lovely sidewalks as you admire the details of its beauty. It's also a great place to have a picnic (several shops are just a couple of blocks away) and get some classic San Francisco photos. Another one of the most popular stops on the Hop On Hop Off Bus Tours in San Francisco is Union Square. It's home to the largest concentration of hotels in SF and where most people stay during their visit. 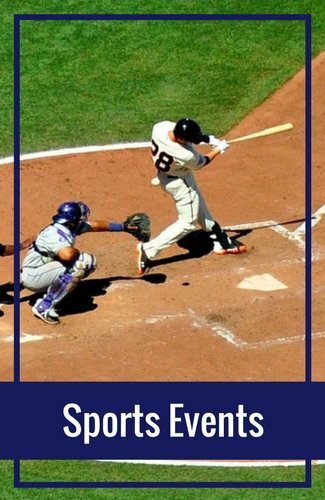 You can also do some shopping, learn about this districts history, or spend time in the square having a coffee or admiring some of the famous hearts of SF.